Pre-booking is required at Blue Lagoon. I’ve noticed some time slots are still available at the last minute, but if you want to make it easy on yourself, book a few weeks in advance. Even with a reservation, you’ll likely wait in line to enter. Several reservation tiers offer different amenities included in the ticket price, but extra amenities can be purchased a-la-carte as well. The more you pay, the shorter you wait (unless you get lucky or book at an unpopular time). I bought the standard ticket and waited in the queue about fifteen minutes before redeeming my reservation (8pm in June) at the counter. Stylish Travel Girl recommends: Book the standard ticket and purchase your extras (robe, towel, drinks, algae mask, etc.) separately when you get there. 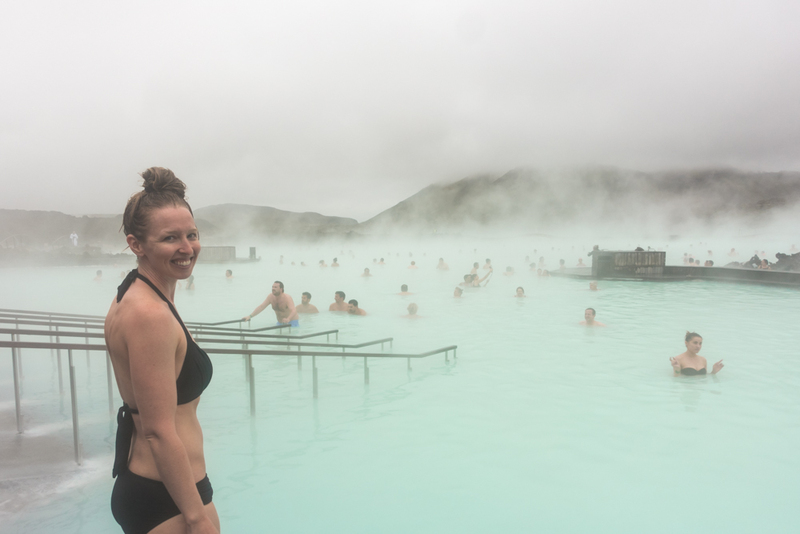 Twenty minutes from the Keflavik airport, Blue Lagoon is one of the easiest attractions to get to in Iceland. You can book a shuttle directly from the airport (you’ll likely see an ad for this when you book your flight), book a car or shuttle from your hotel, or drive your rental car/van and park easily in the large lot adjacent to the Lagoon. Since Blue Lagoon operates on a reservation system, it prevents the lot from getting too crazy at peak times. You can also book transportation when you make your Blue Lagoon reservation. Get ready to have an amazingly relaxing time! 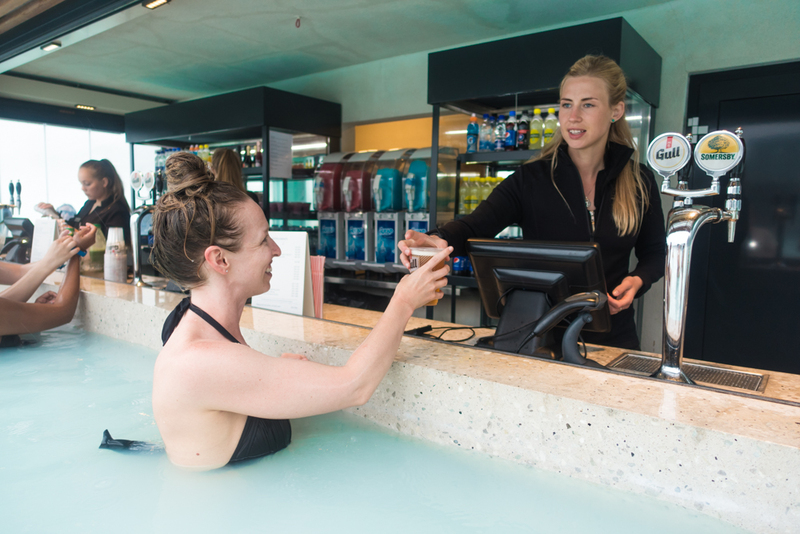 Get access to almost everything — entire Blue Lagoon with in-water drink and mask bars, locker rooms, showers — with just the standard ticket. A free mud mask is included, which you’ll grab from a self-serve bar inside the lagoon. A variety of packages offer amenities included in the ticket price, but most items can be purchased a-la-carte. 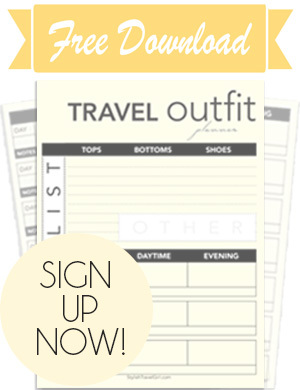 Rent a robe, towel, swimsuit, and slippers at the counter when you check in. You can purchase drinks (beer, wine, smoothies, etc.) or the algae mask with your wristband at the lagoon-side bars while inside the warm lagoon. Rental prices are reasonable, ranging from 700-1400 ISK ($6-13 USD, at the time this was published), making the standard ticket a more attractive option since you will only pay for what you really need. View current add-on pricing on the Blue Lagoon website. 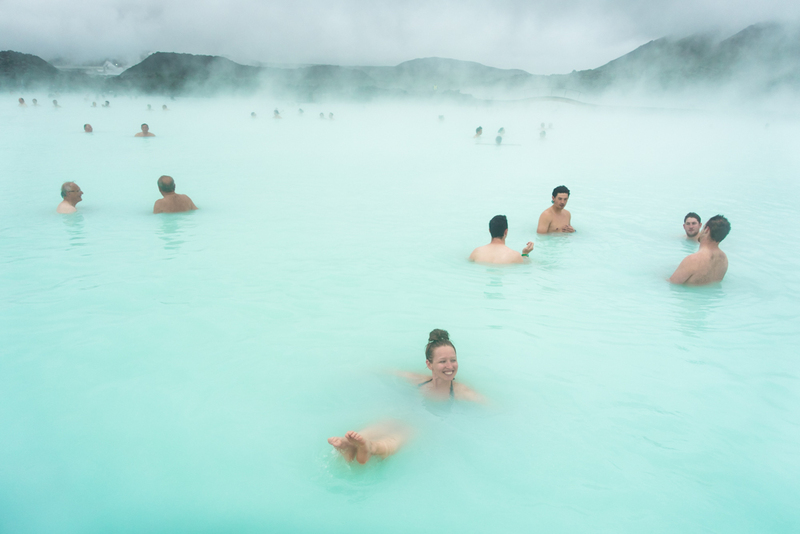 Check out Blue Lagoon in NatGeo’s Wonders of the World publication! Save Your Suit — While you may be tempted to wear your favorite swim suit, just be aware: I can still feel the silica mud in my suit. Even with a good hot rinse in the shower post-spa, your suit will probably feel a bit sticky afterward. 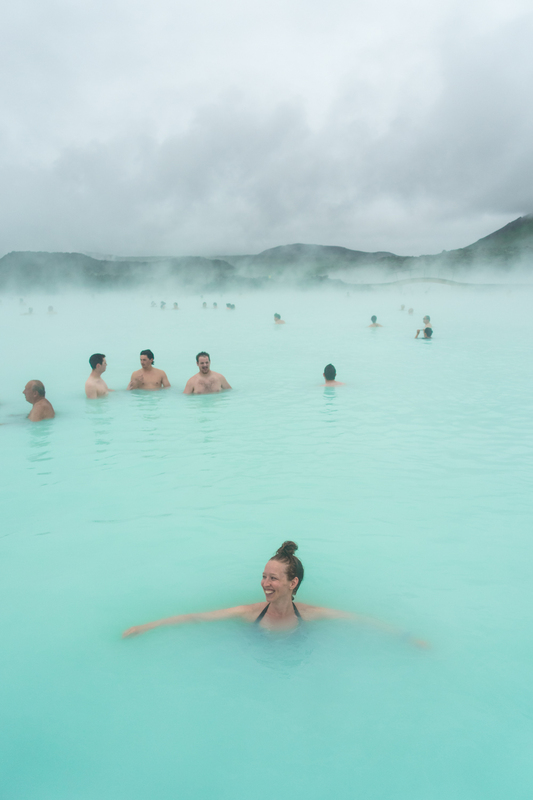 Stylish Travel Girl recommends: Rent a suit at Blue Lagoon or pack an old one for this trip. 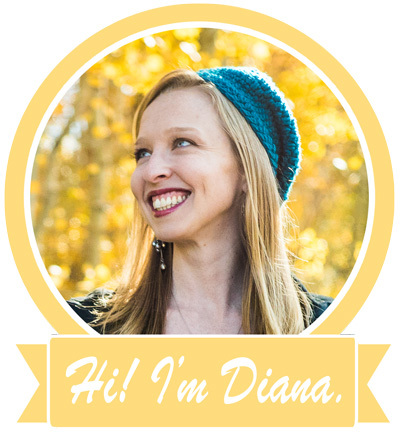 Keep Your Hair Out of It — Tie up your hair to keep the silica out, which can dry out your hair. Use the conditioner provided in the shower before and after using the spa. Showering Required — A shower, without your suit, is required before you enter the spa. There are private showering cubicles in the locker rooms with shampoo and conditioner provided. Don’t Fret Over a Lost Towel — With tons of tourists in the Lagoon, it’s not unheard of to lose track of your rented towel or robe. My brother’s robe went missing, and the staff just gave him a new one when he asked. Stay Warm — If you can’t bear a few seconds of being wet and cold when entering/exiting the lagoon, use the in-water door on the side instead of the main doors to the lagoon deck. Stow Your Stuff — Wristband-activated lockers are available in the changing rooms and are included with all levels of admission. Use them so you don’t lose your car keys, phone, and other important items. 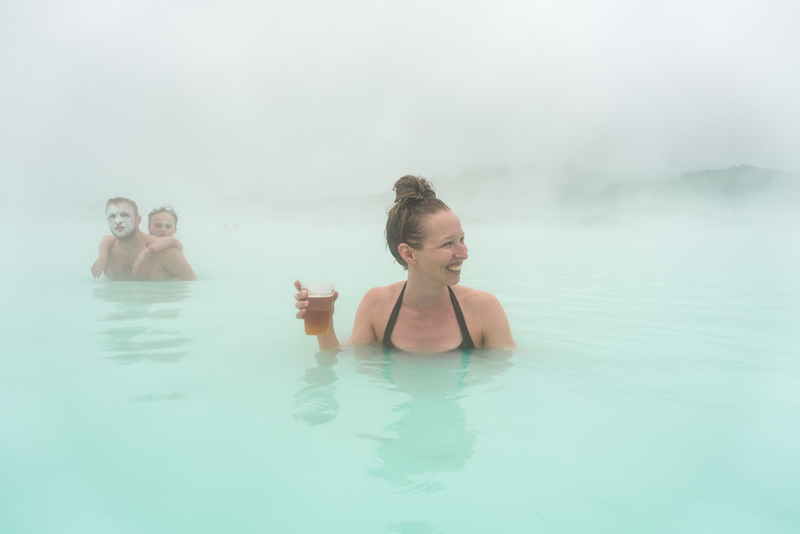 For additional and up-to-date information about visiting Iceland’s Blue Lagoon, visit the official Blue Lagoon website.